(perhaps most important) painting fast, as a 16 year old in 1989 I'd generally finish whatever figures I bought on the same day as I got them home. For this project I allowed myself five days. Oh, and I found one original pot of citadel paint, a bright yellow that I used to dot their eyes! I'm still wondering if I should paint up the skull in the centre. Feedback so far seems to say... maybe! Google took me to Games of War who make a range of prepainted resin 15mm buildings that look to complement the Battlefield in a Box range pretty well. They were the only 15mm buildings I could find that were prepainted, reasonably priced and which have removable roof sections. There's a pretty positive video review of their European buildings on the Model Dad's blog so my hopes were fairly high. As postage is free I've tested the water with just a couple of buildings from a range of five buildings, going for the Small and the Large Desert buildings, priced at £5 and £8 respectively. 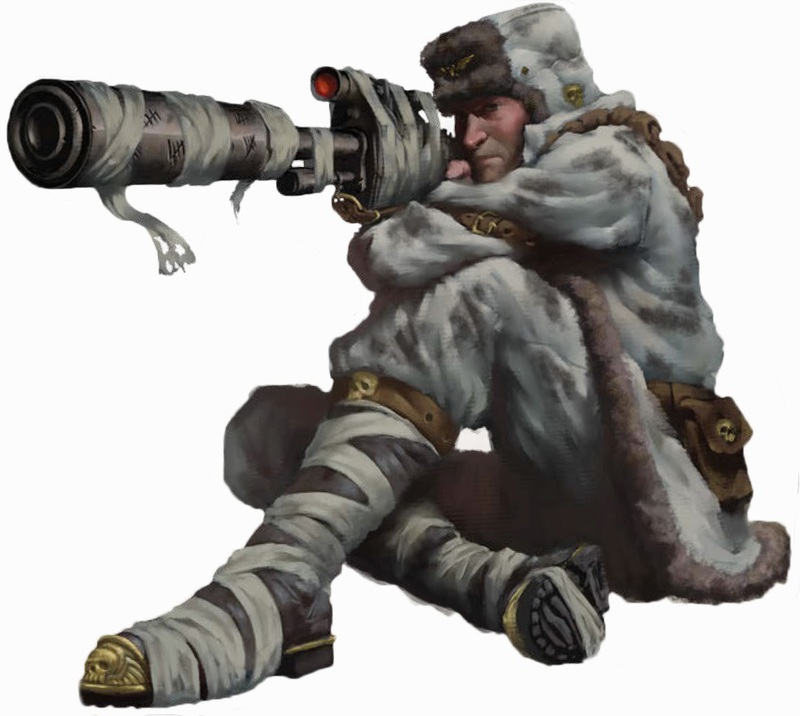 Valhallan Sniper. Image from: http://warhammer40k.wikia.com/wiki/Valhallan_Ice_Warriors. As a relative newcomer to Oldhammer (is that a contradiction in terms?) I've been spending some time looking around the at the various sites that are out there and generally engaging in insane levels of virtual shopping. The Stuff of Legends website is the go to place for information on what's out there. Here's the Marauder Miniatures page that's occupying much of my google-time. If things go to plan I'm aiming to get my hands on pretty much everything that appears in these catalogue pages but as I'm hoping to get some third-edition gaming in I'm going to try to start by aiming to get a playable list sorted. That means starting with a smattering of heroes, 20 Boyz, 20 Arrer Boyz, 20 Gobbos, 20 Stickas, and a Skull Crusher. I'm at the mercy of ebay I suppose! Oh dear! Just as I thought I'd broken the spell of Games Workshop's toy-magic (under which I've been held in thrall for over 25 years) it seems that I've suffered a major relapse. And that relapse is called Oldhammer! 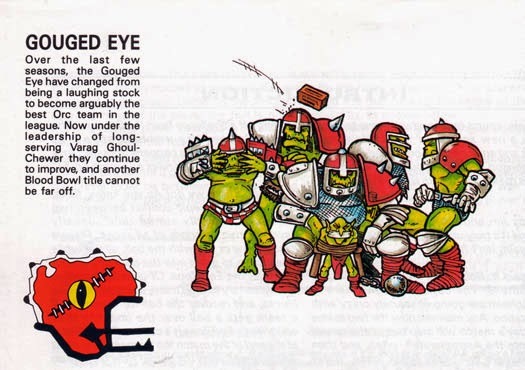 Capturing everything I enjoy about the hobby (collecting, nostalgia, painting, and perhaps even playing for fun with a ruleset I'll enjoy) the world of Oldhammer caught me off-guard and has reeled me right back in to the GW hobby... Curses!